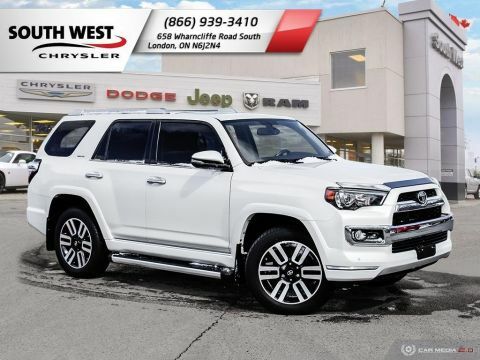 The 7-Passenger 2015 Toyota 4Runner SR5 attracts with its powerful design and displays a fusion of outstanding functionality, comfort, and versatility. 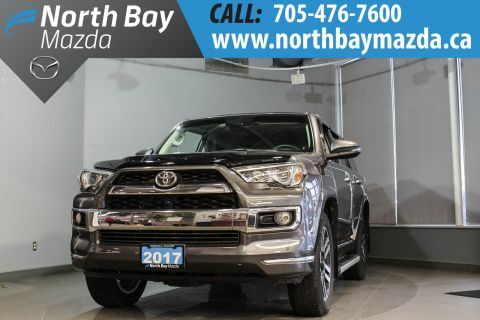 The 4Runner is provided with a great record we'd be happy to show you with its clean Carfax and it only had single owner. The Magnetic Grey Metallic paint finish endows the vehicle in a compelling presence and includes the running boards accessories. 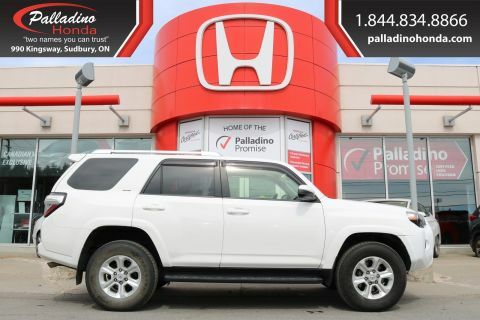 The spacious and versatile cabin offers exceptional comfort down to the third-row seats and is built with elements that make the drive enjoyable. Set your waypoint as you utilise the navigation, skip the commercials when you listen to your favourite stations on the satellite radio, and remain safely connected on your mobile device with the Bluetooth. Keep a peace of mind, knowing your precious cargo is safe as you utilise the parking sensors and rearview camera. Passengers who occupy the black leather seats with enjoy the comfortable ambience within the cabin when you open the power sunroof, adjust the dual-zone climate controls, or enable the heated seats. 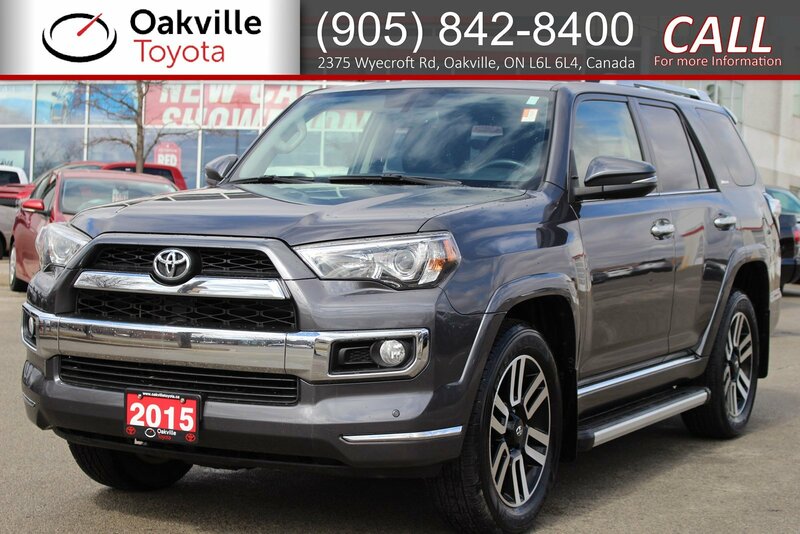 Test drive this one for yourself today at Oakville Toyota, located at 2375 Wyecroft Rd in Oakville or give us a call at 905-842-8400 ext. 3229 to book a TEST DRIVE TODAY. Disclaimer Information: Please confirm with seller accuracy of information. Mileage recorded at time of listing. Taxes are not included in the listing price.